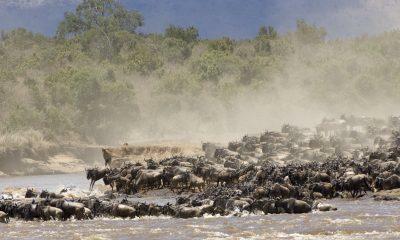 Wildebeest Migration in Serengeti is one of the nature's biggest spectacles in Africa! 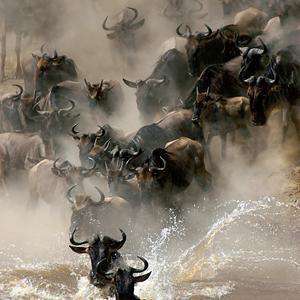 The Great Migration is an annual migration of wildebeest from the Ndutu region of the Ngorongoro Crater in Tanzania to the Maasai Mara in southern Kenya . The recent rains leave the stunning caldera reserve with an abundance of grass for zebra and wildebeest to feast upon, and it is at this time of year that the wildebeest calving season begins (December-March) It is also an opportune time for predators such as lions, cheetahs, leopards, and even hyenas to pick off weak and confused calves. 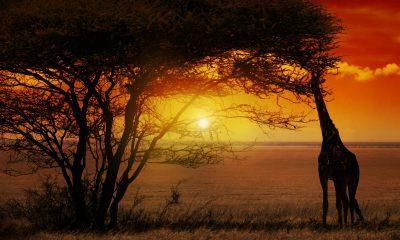 When the rains end in April/May, the zebra begin the process of heading north towards the Maasai Mara. Where the zebra go, the wildebeest follow. The vast herd crosses the Grumeti River in June/July and the Mara River between August and November, and it is at this time that some of the most spectacular photographs and video footage can be captured. The swollen rivers sweep away members of the herd, predators harry the stragglers, and the opportunistic Nile crocodiles have a feast as animals venture into the water seeking to cross. It is a bloody, dazzling display of the food chain at work. Once the crossings are complete, the herd settles in the Maasai Mara in southern Kenya. After remaining in the more fertile Maasai Mara for the duration of the dry season, the migration heads south again in preparation for the calving season in the New Year. The exact timing of the Great Wildebeest Migration is completely dependent upon rainfall patterns, making it a difficult thing to predict with any certainty. A particularly heavy or light rainfall might completely alter the movement of the massive herd, so it is best to get daily updates leading in to your trip. That being said, there is a rough calendar that can usually be relied upon. Life begins for a huge number of animals in the Ndutu region of the Ngorongoro Conservation Area. In the space of a few short weeks, the calving season sees half a million young wildebeest brought into the world. This is due to the rainy season combining with the fertile volcanic soil of the region to create a lush carpet of short grass rich in essential vitamins. It is here that the vast herd begins to take shape, and it is here that the predators begin their yearlong assault upon the herd. With so many young and weak calves stumbling around, it becomes easy for the lions, leopards, and cheetahs to pick off a tasty morsel. With the wet season ending in the south of the Serengeti, it is time for the herd to begin moving north. 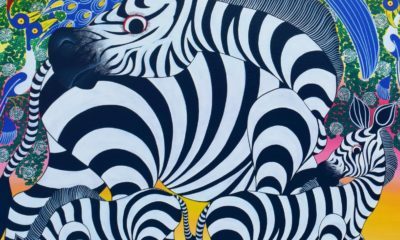 At this stage it numbers approximately 1.7 million wildebeest, 470,000 species of antelope, and 250,000 zebras, and has attracted a motley collection of predators who will dog its steps for the entirety of its journey. 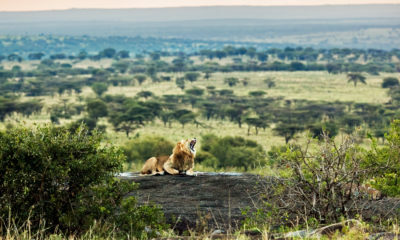 The great movement usually passes through the Seronera region of the Serengeti at this stage, and with so many young and inexperienced members of the herd, the predators have a field day. The herd encounters its first major obstacle at this point. As Lake Victoria experiences its own miniature wet season, the herd shifts direction and treks towards Africa’s largest freshwater lake in search of sustenance. The only thing standing between them? The Grumeti River. Some of the most spectacular images of the predator-prey relationship are captured in and around the river, with both the big cats and the Nile crocodiles seizing upon this opportunity to strike at the increasingly desperate members of the herd. The Grumeti is home to the largest Nile crocodile population in the region, and these opportunistic predators make the most of things. Once they’ve successfully navigated the river’s strong currents and predator population, the herd can spend some time recovering and replenishing on the Musabi and Masira grass plains until it becomes time to move on again. During this period, the herd continues its movement north towards the Maasai Mara National Park in Kenya. There is no tight schedule that these animals follow, and so tracking the herd’s movements becomes a day to day prospect as the meander slowly but inexorably towards the next big obstacle in their path: the Mara River. The Mara River poses another deadly barrier for the herd, who must again brave swollen waters and the opportunistic predators if they are to find relatively safety on the far side. Photographers and documentarians from around the world gather to witness the death-defying crossing, but the surrounding landscapes are every bit as memorable as the life and death struggle taking place at the Kogatende crossing. After having spent some time in the greener lands of the Maasai Mara after their crossing, the great herd begins the process of returning to the calving area in the southern Serengeti. The rivers must be crossed again and the way is long, but the herd at this point is better prepared for the journey after nearly a year of growth for the calves strong enough to have survived the journey so far. By either year’s end or early in the New Year, the herd has returned to Ndutu in time to begin the whole process again. See Wildebeest migration map large map.